Powerful flex combination of every source of glycosaminoglycans (GAGs) available. Contains glucosamine, shark cartilage, perna mussel, Ester C® (source of ascorbic acid) and MSM. 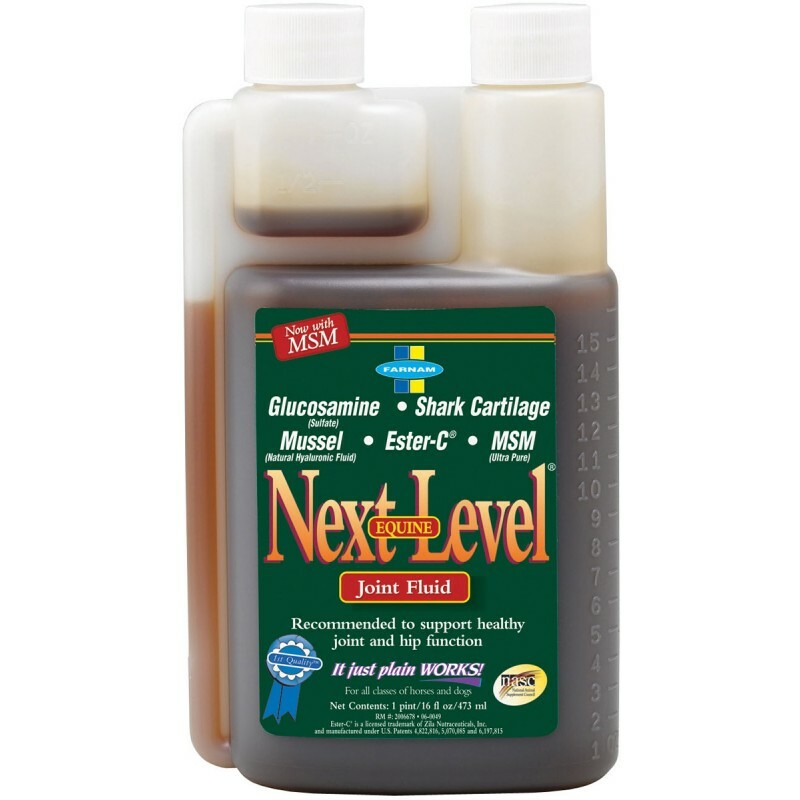 To be used to improve flexibility and performance of joints. 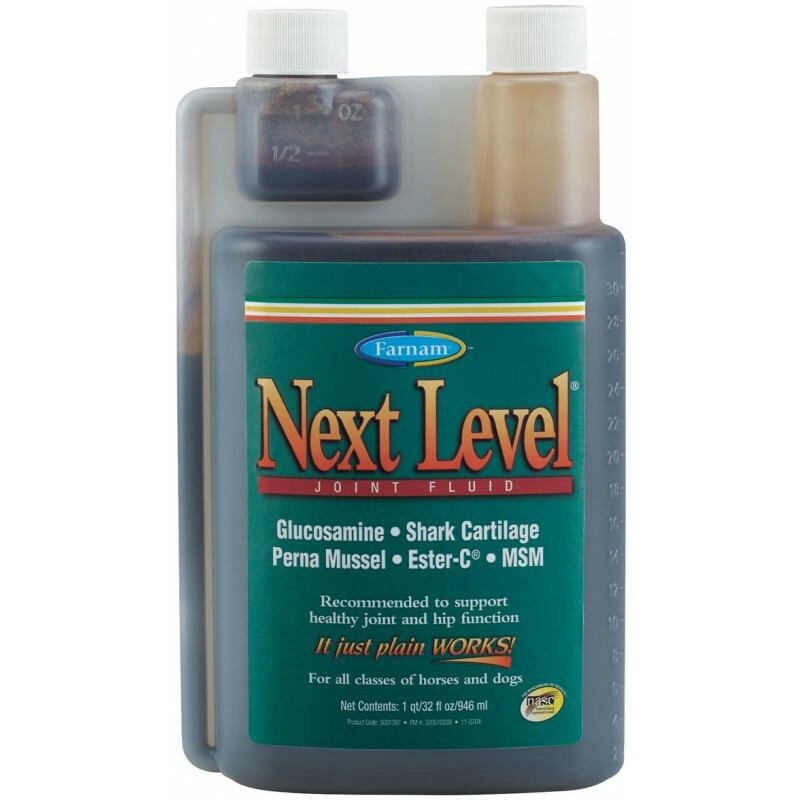 Glucosamine is one of the major building blocks of articular cartilage and synovial fluid. Chondroitin helps produce and protect cartilage. Feeding guide : Enclosed scoop holds approximately 30 ml. Give 60 ml per day for the first 10 days, then 30 ml per day thereafter. Ingredients : Glucosamine sulfate (marine), chondroïtine sulfate (marine), mussel, MSM, Corn syrup, glycerin, potassium sorbate, propionic acid, calcium ascorbate, water, and xanthan gum, caramel color, artificial flavors. Weight 946 ml ou 3.78 l.